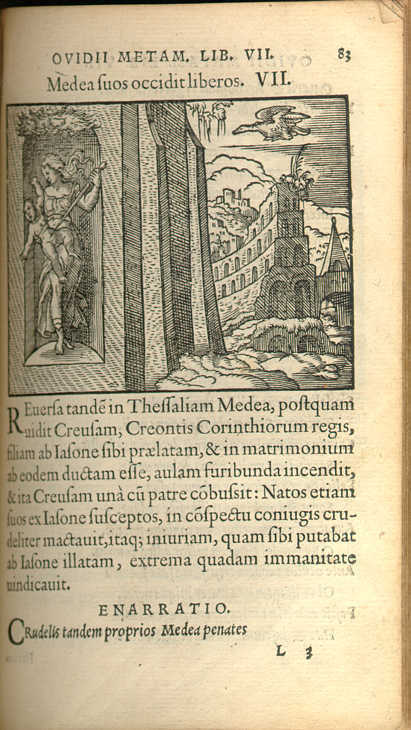 Medea Kills Her Children. From Ovidii Metamorphoses Illustratae, engr. Virgil Solis (Frankfurt, 1563). Editor's copy.